You're currently viewing posts by Pinsider dangerterror. I've learned soooo much by lurking in this club, but it's time I join. I've replaced or fixed nearly everything in an NGG, so hopefully I can help out people with issues. However: I am experiencing a really pesky gofer problem I was hoping someone here could help out with! 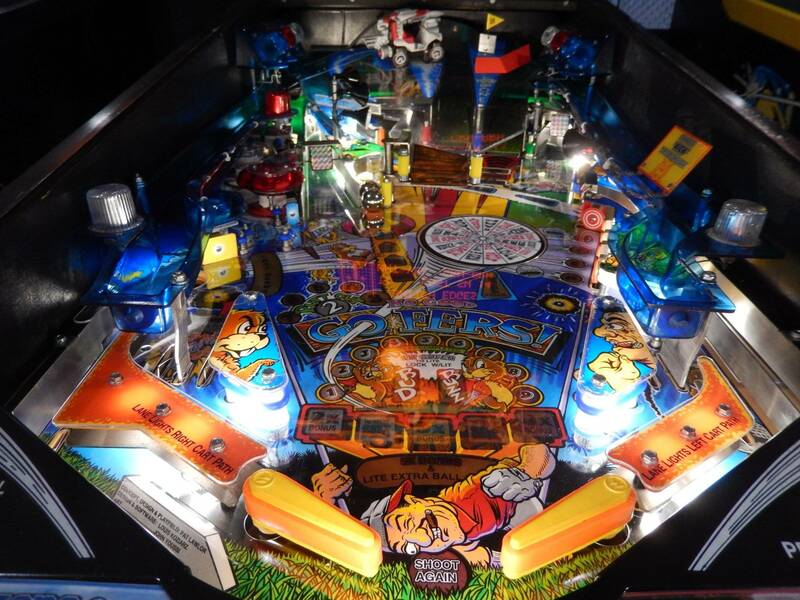 I absolutely adore this machine but the gofers can be so finicky. The problem is that Bud acts like he's been hit as soon as one hits the Raise Gofer shot. As the ball is traveling up the ramp and back around through the ramp make switch, Bud pops up, says "Ohhh!" and falls down. The ramp usually is raised just fine, since Bud goes all the way up, but not all the time. I've rebuilt the lil' guy since the problem started, but didn't see any red flags. In switch test, both reed switches in front of Bud which I assume indicate a Bud gofer hit, work perfectly when I pass the ball over them. In coil tests, Bud pops up and locks and falls when released, just has he should. Thanks in advance for your NGG wisdom! 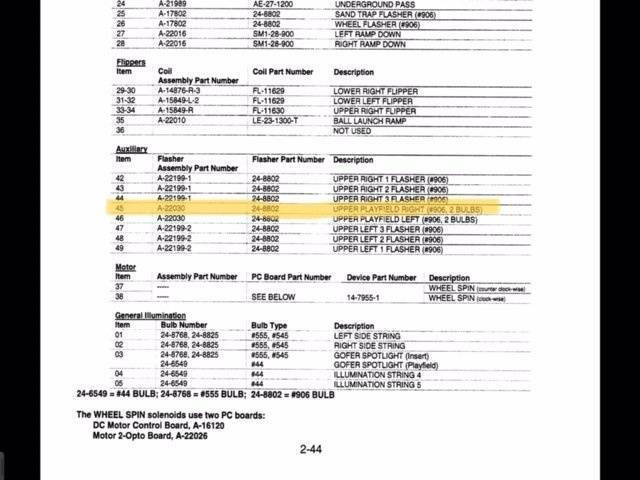 Very interesting, thank you -- so there are just no compatible reed switches available for an easy swap? 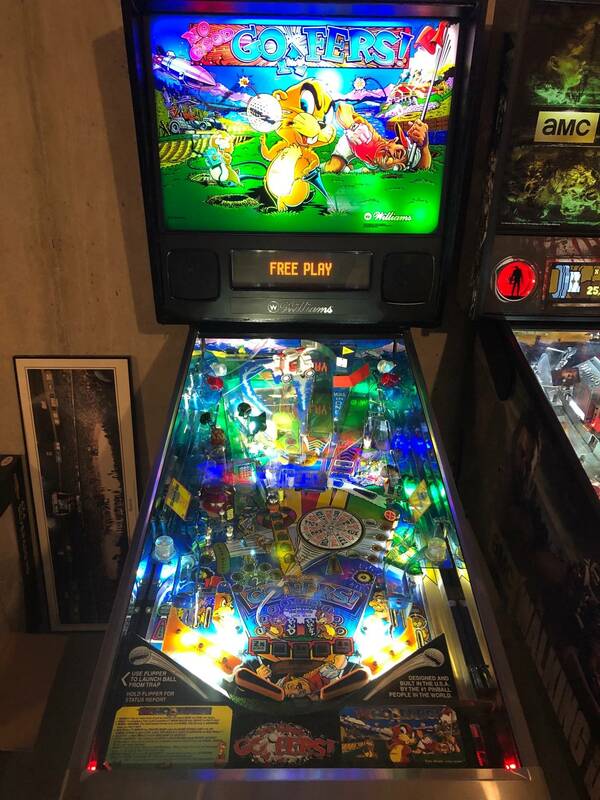 I haven't poked around those switches too much, but they appear to be attached to the bottom of a playfield insert -- how does one go about removing them from the underside of the PF? Anyway, thanks for the help, I can't believe reed switches can give out like that, they seem pretty bulletproof in concept. Sounds like you need to check your trough switches. 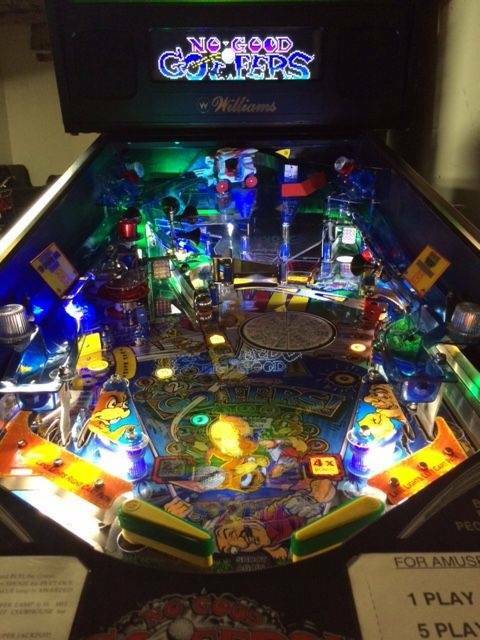 They are optical, so take out the balls, throw it in switch test mode and try to close each one by interrupting the optical beam with a card or some such thing. 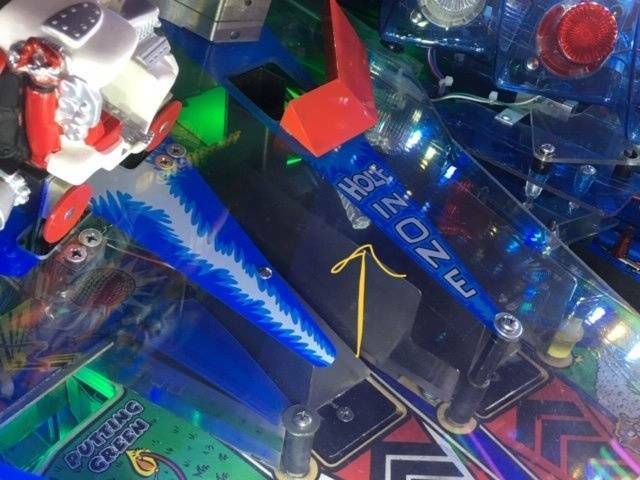 If the game can't sense the balls in the trough, it will keep looking for them. I replaced my entire trough opto board since there are nice remakes on the market. Totally worth it. I ended up unplugging my bad switch and had the game like that for several months before rebuilding the reed switch. 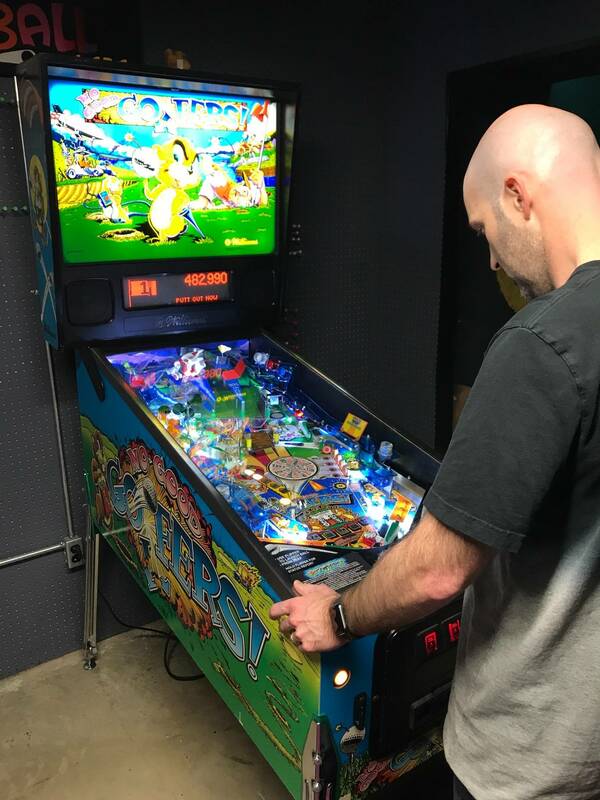 It did not operate 100% correctly (though I can't remember what problem it had), but it was better than when the switch would close and trigger false hits. I probably would have left it like that and been fine, but you do miss some hits being registered to the gopher. 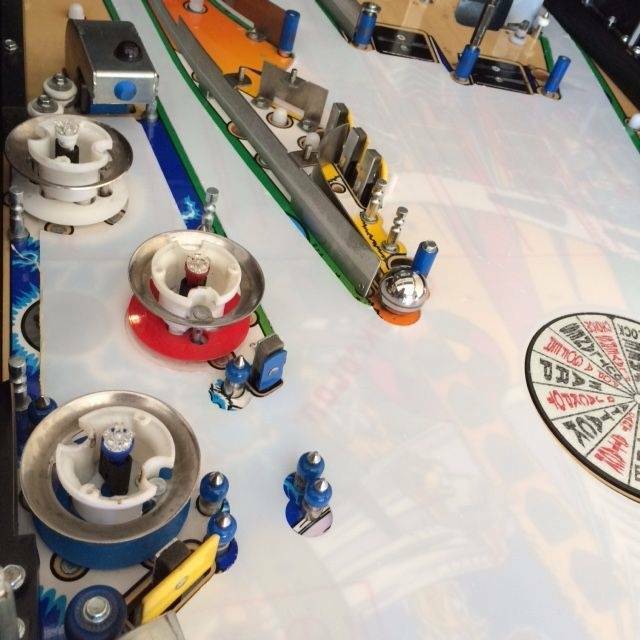 The switches are placed to have good coverage of balls in that region, and having one out means that your effective range for detecting a ball is smaller. However, I don't recall it being a big deal. Spent some time with Bud this weekend and now I'm more baffled than ever! I unplugged each of the reed switches and tested the game for normal or different behavior, but the Bud issue remained unchanged. In test mode the reed switches are totally fine, so now I'm thinking it's something else -- like maybe Bud is just acting like he's getting hit because he's not making it up all the way and thus falling on/activating a different switch (e.g. the gofer opto, ramp down switch). 1) The gofer doesn't pop all the way up and wiggle to "speak" -- it pops up halfway over and over. This means that perhaps the gofer is not reaching the right height to lock up. Indeed, when a gofer is supposed to lock "up," it falls and says "OHHH" before it ever reaches its full height. 2) The thing that makes this so frustrating is that the gofer and ramp work so darn smoothly in test mode. Popping up, locking, resetting -- if it's in test, it's just fine! So my question is: Why would the gofer not pop up all the way in gameplay, but work perfectly in test? 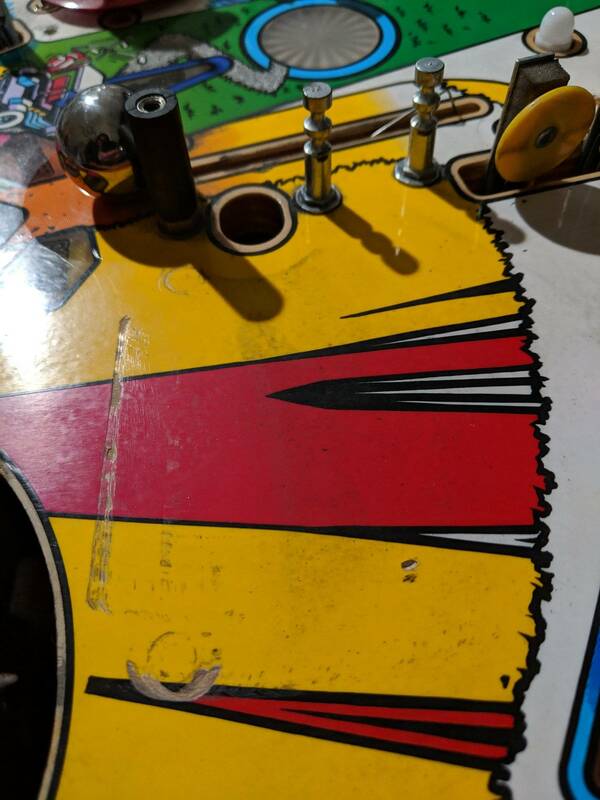 Could this be a board issue? Yep, I love those Cliffy catches. I've cleaned and rebuilt the lil' guy recently but I'll go for it again. Feels smooth enough, and works like a charm in test, but might as well. Thanks for that! And thanks for everyone's help so far, you are all great people. 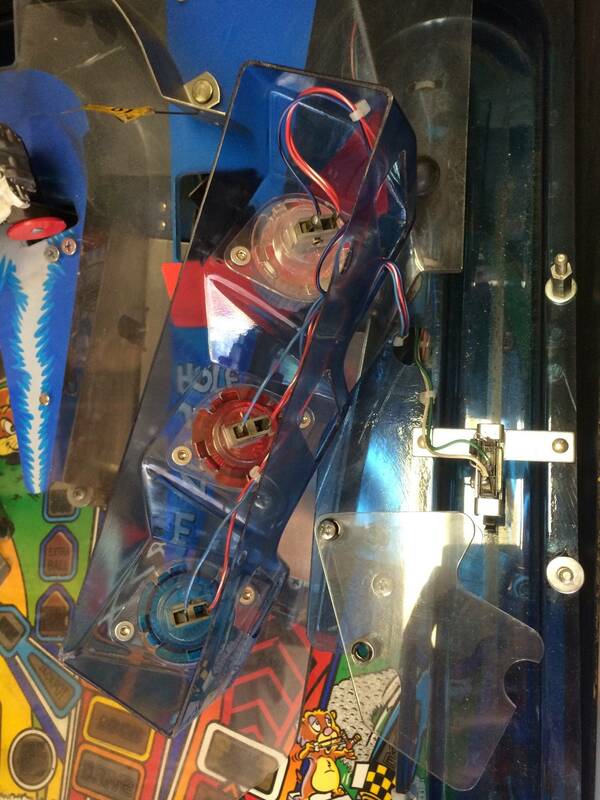 As it turns out, I am *quite* familiar with that roll pin issue; it's happened to both gofers in my game. After ordering a few high priced back-ups of that whole shaft assembly from Australia I figured out how to just replace that roll pin for like 25cents, ha. When I remove the gofer and manually pop it up and release it, it works perfectly. Pop it in: In test mode, works perfectly. 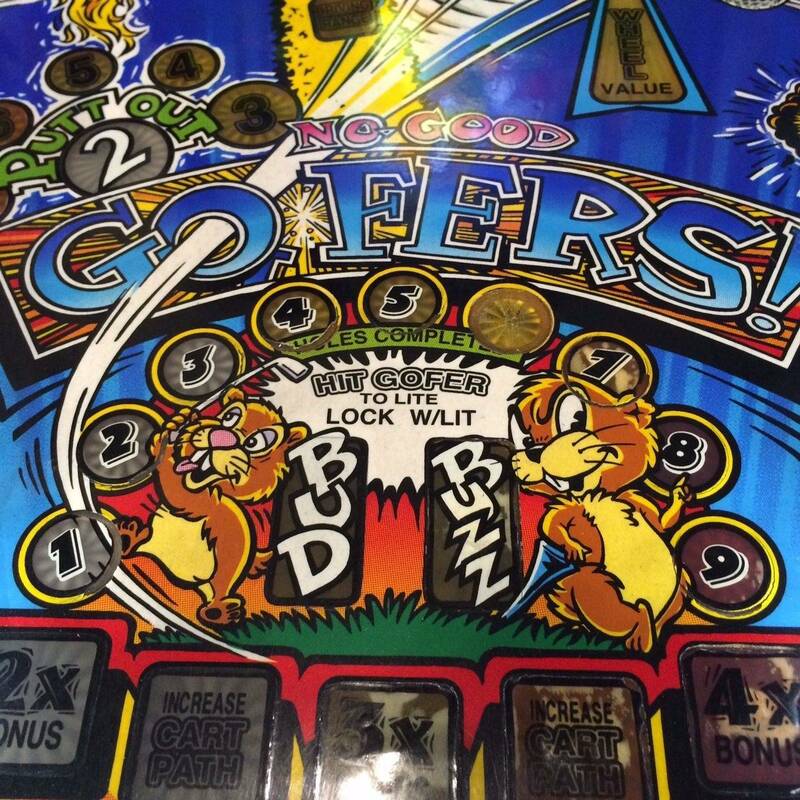 It's just in the game, when the gofer is talking or locking, it doesn't go up all the way and lock. THE GOFER GODS ARE STILL ANGRY. Someone above mentioned the residual plate -- definitely replaced mine when I rebuilt my ramps -- and I think that only should affect the ramp locking up, right? If the gofer gets it up, the ramp locks OK in my game. Any other ideas for tests would be welcome! As requested, here's a video of my worse than "no good" Gofer issue. It took a while to get to this, apologies -- and thanks so much for the ideas and help so far. 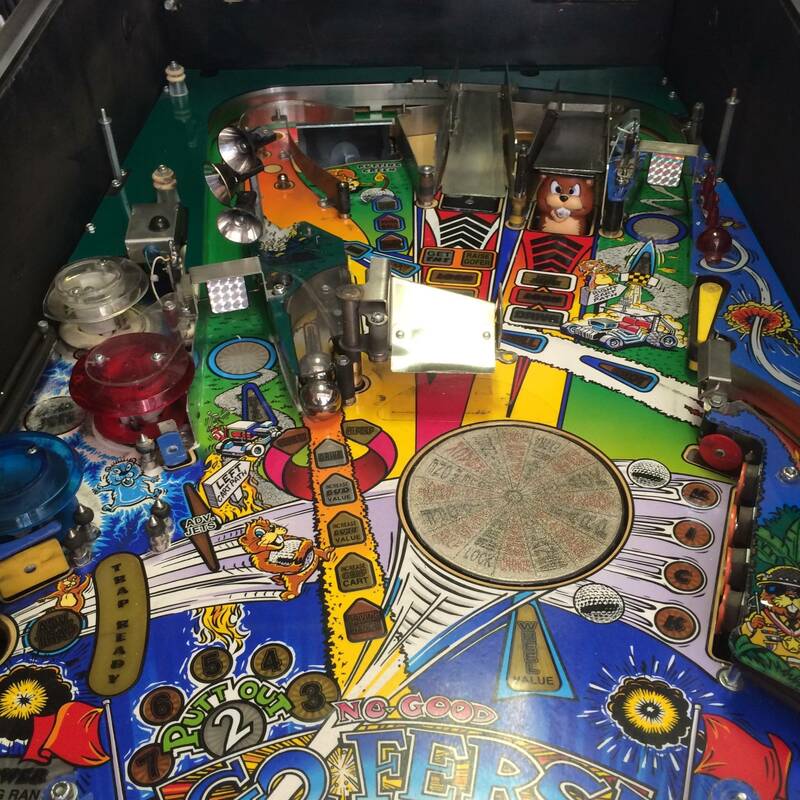 In this video you can see first the multiball lock issue -- the Gofer says "Ohhh!" and falls down right away. But shortly after you can also see the issue in which the Gofer doesn't pop all the way, lock, and jiggle to speak. He instead pops up and falls repeatedly. Everything works mechanically when I remove the Gofer, and used to be 100% working in test, but now I did see it slip out of its locked position once in test. I'm replacing the plastic gofer mounting piece and the piece it rests on. #14 and #15, latch and guide latch -- hard to source parts. 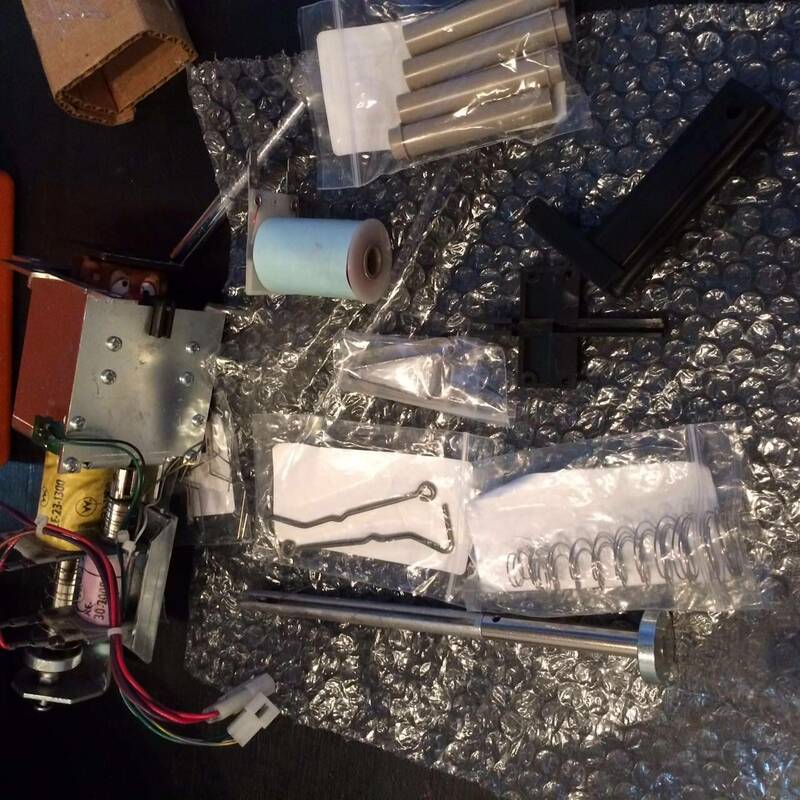 I'm also replacing basically everything I can source mechanically: Coils, sleeves, plunger assembly, springs etc. I did most of these already, but I'm building a mechanically "new" gofer this time, darn it. 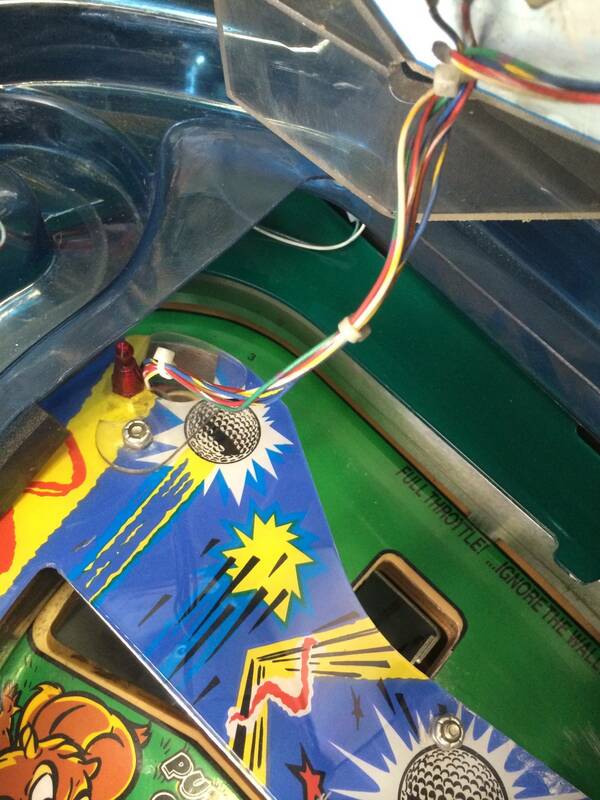 Yeah, it should be raised so you can shoot it and get that nice, easy eject onto the right flip for the jackpot. Hey thanks! Got some from eBay but will keep this link. 1) The coil was bad/weak. I replaced the coil itself for the first time, so maybe? 2) The sleeve was already worn out/grimy (it had been in use for 6 months). 3) The latch and guide latch were worn. I can visibly see the wear, so maybe that was it. 4) The spring was TOO STRONG. I had added tension to the spring at one point. Replaced that. Anyway, glad the reed switches are all good, but man oh man, the things I do for gofers. Thanks, all! Until next time. Anyone ever experience the extremely annoying software (?) bug where you can't complete Bud's lock in multiplayer? 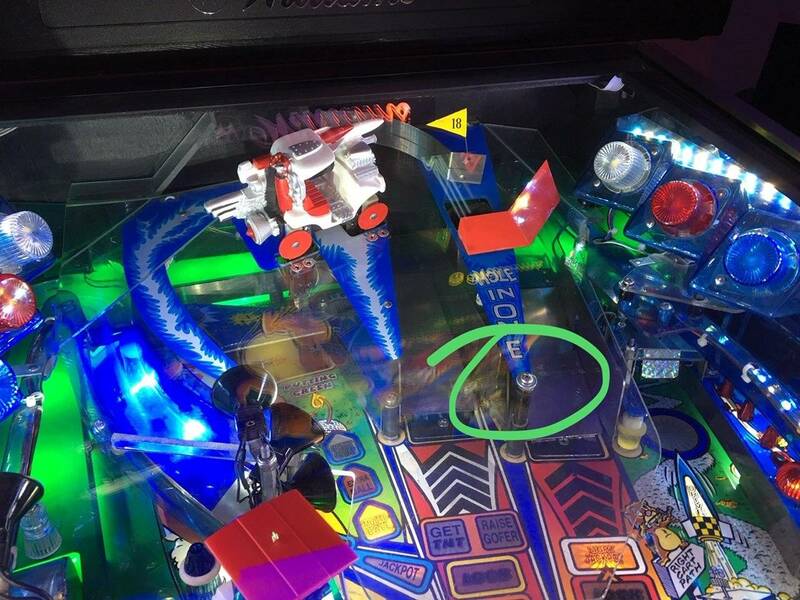 Here's how it happens: If you hit the ramp to raise Bud, then hit him, but DO NOT lock the ball, and drain, the next person will then start with Bud and the ramp down, as they should. When your game starts again, Bud doesn't pop up to lift the ramp, so LOCK is lit, but you can't actually shoot the lock. A ramp is covering it! If Bud pops up to taunt, the the ramp will be reset -- he's the mechanism that lifts it. The game doesn't just tell him to pop up though, you have to trigger it. You can force this by hitting the Sand Trap. Comet recommended the frosted Sunlight Whites for NGG for me since there are so many oranges, yellows and whites. Those, along with some assorted colors, were totally perfect. There are 5 weird blinkers in the back box -- they can be really expensive but Comet had a good solution for those. 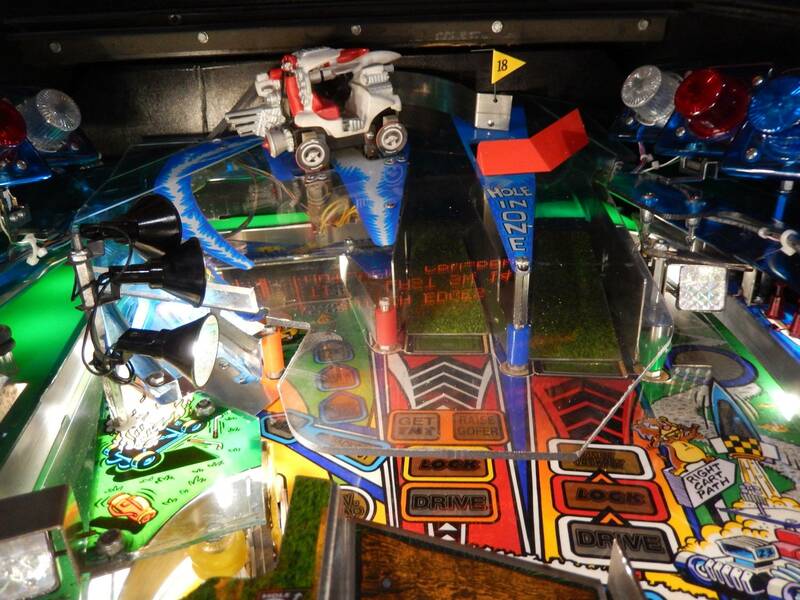 In other news, does anyone have a link to a US source for these NGG playfield protectors? Or who manufactures them? I totally want to try one. Ack! My 6 has disappeared! 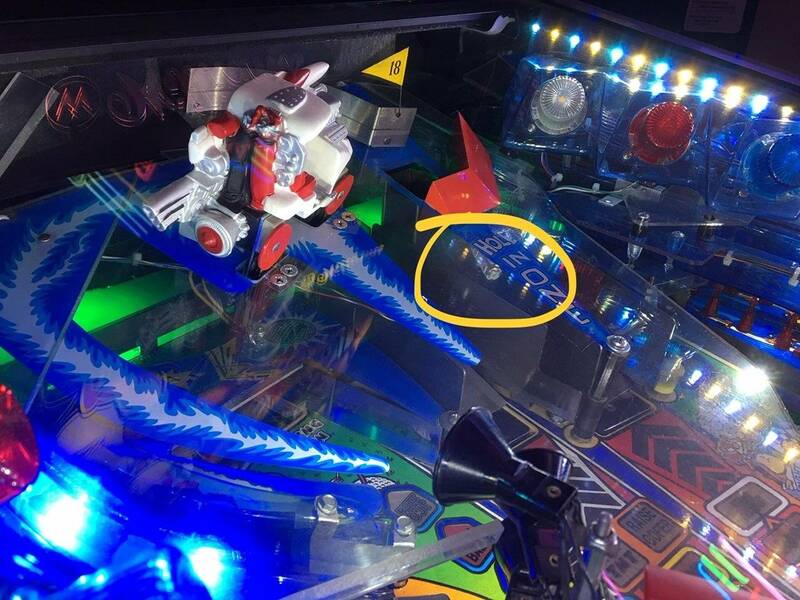 Has anyone ever scanned or, better yet, printed decals for these numbered NGG inserts? 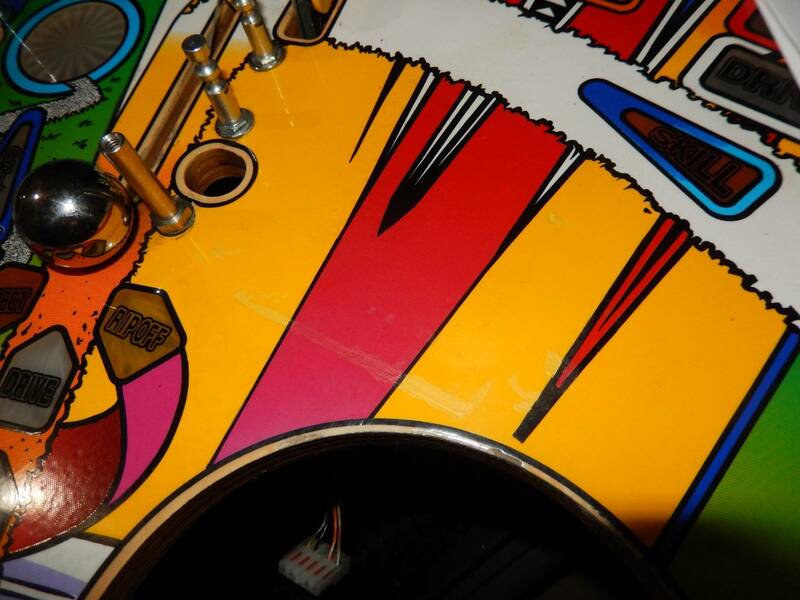 I've never done such a thing, but in researching insert repair I see that waterslide decals with some clearcoat can restore inserts to their former glory. After I re-decal this one, I'm going to try and inject clearcoat into the cloudy ones (they look fine with lights on, luckily) and then put a PF protector over the whole thing. I saw those! They are *quite expensive* and ship from Europe, so I chose to go with restoration for now. Good point on the overlay. I'd still like to do this insert repair. If no one has made waterslide decals for NGG before, I'd be willing to go it alone and fix this six. I could use a nice picture of that insert to rasterize, if someone would be so kind. 6 pic, anyone? Ordered my decal supplies today! Thanks! Man, it has white ink. I have no idea how I'm going to handle that. I have access to a screen printing shop, in fact, the game is in a screen printing shop, but that's a lot of work for a 6! Hmmm.... Maybe I could make a big set of decals for that whole area while I'm at it. I don't think I'm up for that art challenge, but printing and creating the decals, I can do. *Balls aren't plunging up the ramp. Could be a level issue. Might have to add felt to shooter lane. *Doesn't stretch all the way to shooter, it covers about half of the shooter lane. I also created a decal for my missing 6, which was crazy complicated, with two layers of clear and white laser jet printing to get the white and transparent working. I put a spot of mylar over it. Pretty proud. 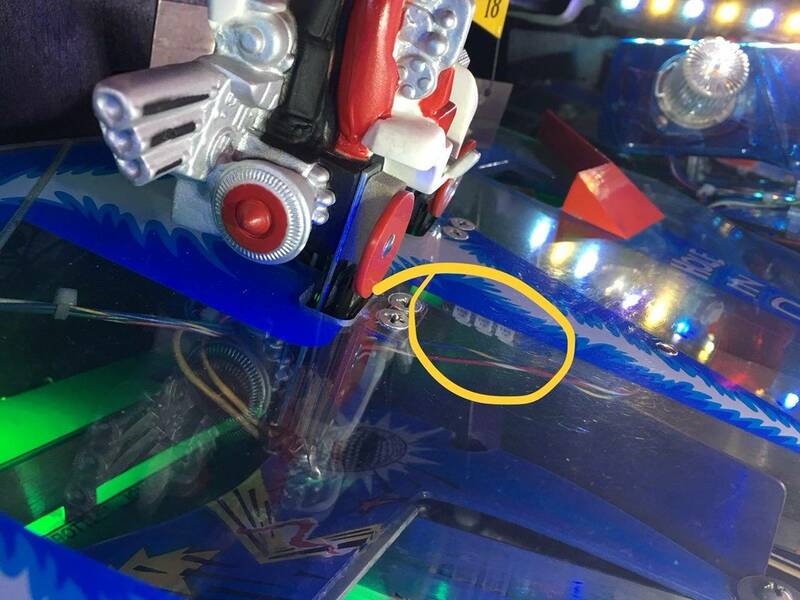 I DID NOT apply the Treasure Cove decal for the slam ramp, because the color is wayyy off. It's a brownish mustard color. I reached out to them and they offered a refund if I sent it back but said it looked good installed despite the color match :/ Still deciding on that. I hope that helps you all make a decision on whether or not to Makrolon! Can I adjust the spinning wheel height in any way? 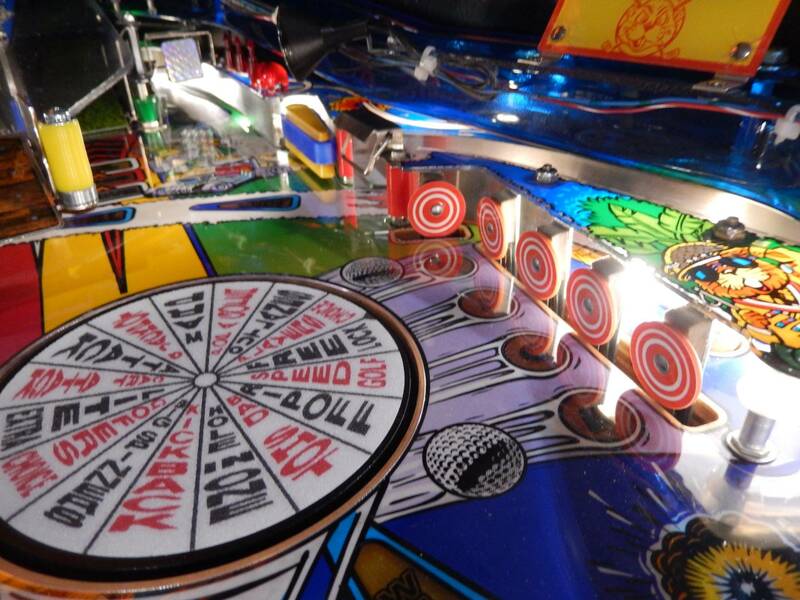 I'm pretty savvy with my pinball mechanics and I could not figure out how. It should play better with it raised to the level of the protector. That's the only place the lip of the plastic interferes. It's the plunger part with the hole in it, not the part with the spring on top. 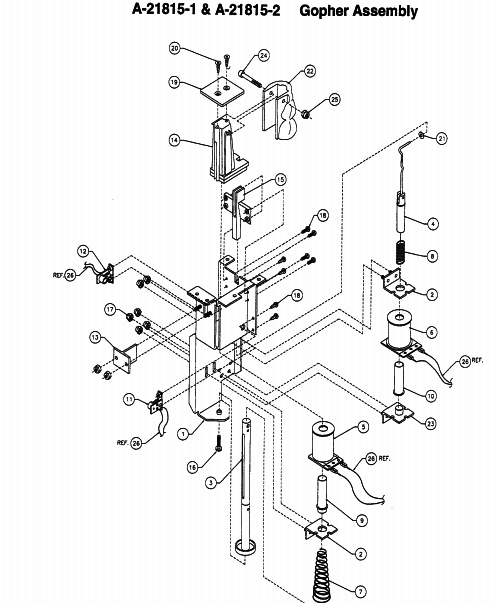 I'm convinced that this one ridiculous assembly will eventually mean the demise of NGG machines worldwide. People will probably never make that shaft again! I want decals sooo bad. Great! That stack is a hassle. You can disassemble the whole thing and make sure the bottom hex spacer is locked tight on the PF then reassemble, that's what worked for me. Regarding LEDs in the above post, try Comet's sunlight instead of cool, Comet recommended those for NGG GI and they are a great middle point between warm and cool. cait001: I wrote up detailed impressions earlier in this thread. TLDR: It's been a year and no significant issues. Would recommend. 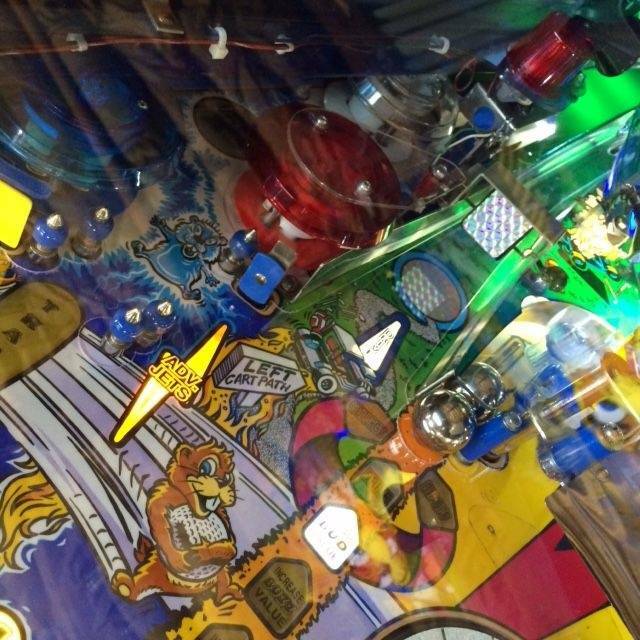 evh347: Fascinating about overtightening #25 through the gofer noggin. Never considered that. Thanks. 5)I had the same thing happen to mine I think the catch was messed up but it's been a while, can you manually lift ramp to let it catch? you probably need to go through the switch test to test the ones in question. as for all the stuff in the gofer area I would recommend taking alot of pics, take it apart and clean it all thoroughly. it gets pretty nasty in there after a while. In 2-4 player mode you can lose a lock. 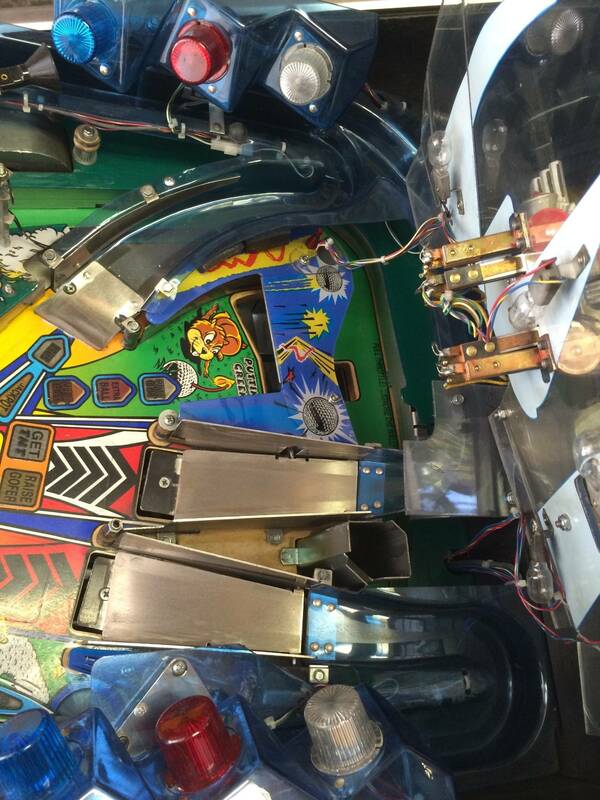 It's a software bug and we discuss it in league nights and tourneys all the time: Player 1 raises the gofer, hits the gofer and lights LOCK. The ramp is open with the lock lit and P1 drains. 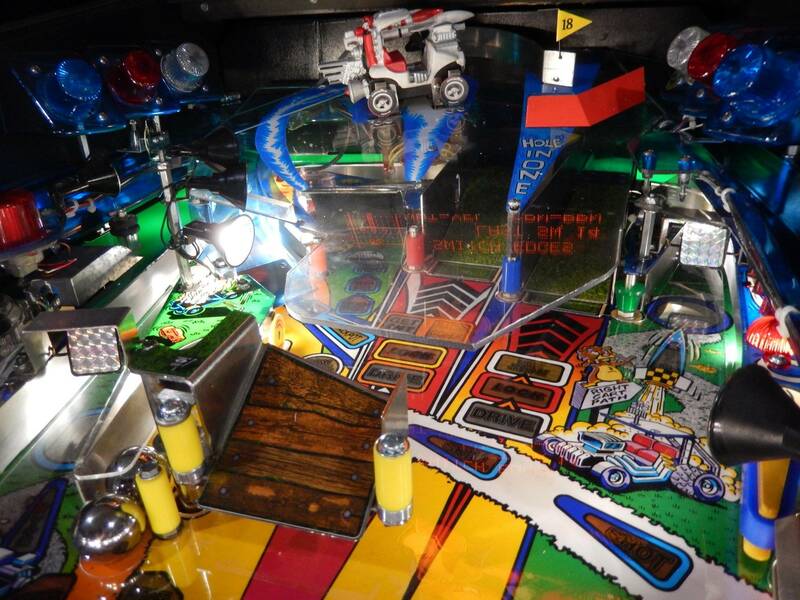 Player 2 starts and the ramp release resets the ramp to the down position. They drain immediately. Now, P1 is up and LOCK is lit, AND the ramp is down. 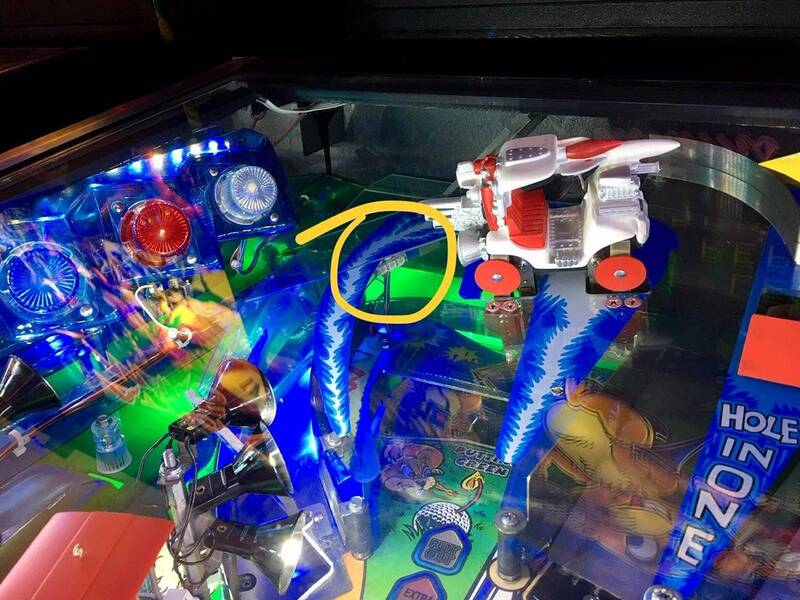 There is no way to lock the ball with the ramp down. It's not a game-breaking bug because you can get the lock to open up by getting the gofer to raise up and lift it into place. Hit the sand trap or start a mode and hope your gofer pops the ramp up while talking. The bug is in the game's lamp/DMD display which shows and tells you to shoot the ramp to lock, but that obviously doesn't work with the ramp down. 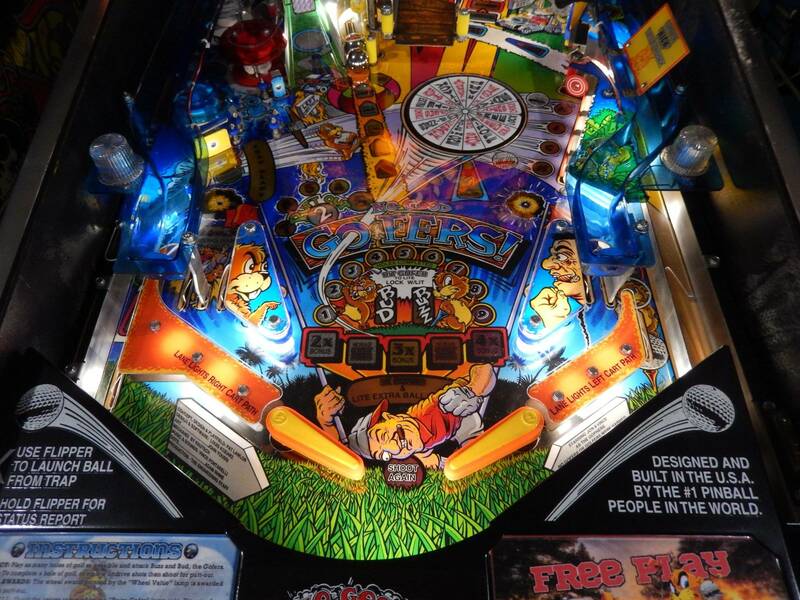 I wish someone would fix the code to have it pop up both gofers between balls, or reset RAISE GOFER if players failed a lock. ok, here is the video. Hopefully we are talking about the same thing. Yeah your closed ramp locked the right gofer ball there for sure. Have you tried this with the left gofer lock? Any tips on safely and easily getting the wheel decal off and replacing it with a new one? Remove the wheel and use a hair dryer to heat up the decal. It peels right off. How do you get access to the right cart path spinner to adjust it and or replace it? 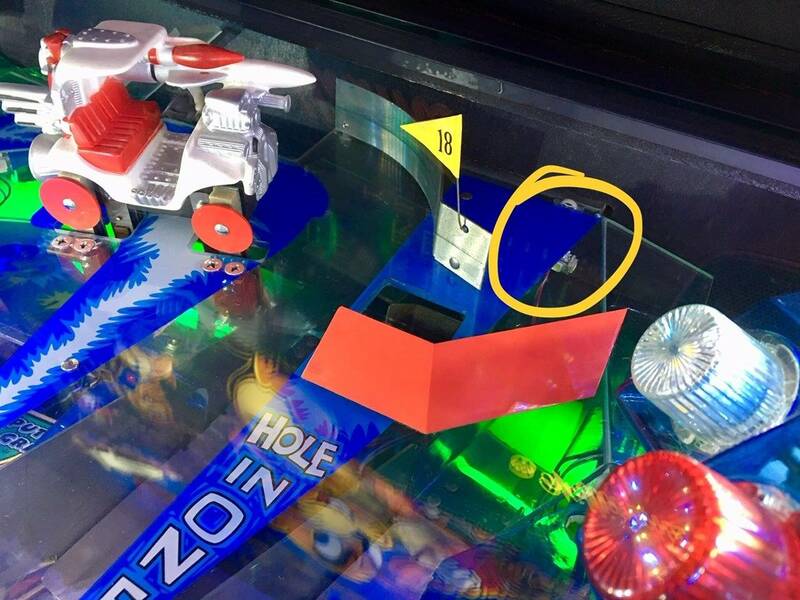 I have the clear overlay off (with the cart and hole in one) but can’t seem to get the right blue ramp off despite taking all visible nuts off on right side. 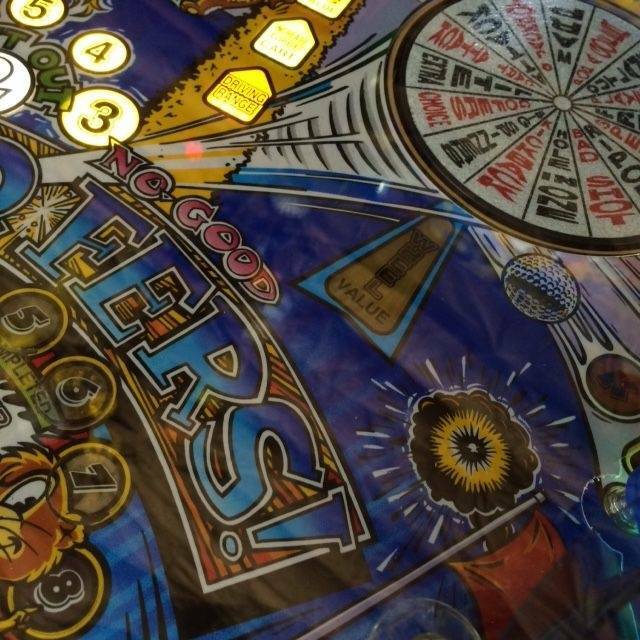 Is there access from the underside of the playfield? The ramp is not only attached by hardware on the far right, but by machine screws into the sides of the right metal ramp. You can access these topside. It also is plugged in to 4 connectors beneath the pf, and is fitted into the back board slot. It will lift out, no prob, just find everything and unscrew. You’ll have easy access to the spinner which can be removed entirely if needed with two nuts and a plug. Here are some angles from the last time I took off ramps. I’m not sure they are what you need but good luck! No, it should not fire during self test. Shooter lane switch? I raised my wheel up when I added the protector but no need to adjust the slam ramp. Btw 2019 pf protectors are super thin. Big improvement. After more than a year of public play my protector was hammered. My pf was not, though! I recently did a pass at buffing out all the scratches. It’s shiny and passable but now I’m hankering to replace it with a thin one.